These dental hygiene tips will help you improve the health of your mouth. When it comes to dental hygiene tips there are always a few variables to take into consideration. Do you have braces, implants, sleep apnea or some other condition that you need to take extra care of that would impact your routine? If that’s the case these tips may not apply to you as much and that’s why you want to consult with your dentist before you start buying random new products off the shelves at the grocery store. However, once you’ve formulated a plan with your dentist it’s important to keep up with it as you do not want to fall of your routine. A good oral health routine is important and no matter how much you want to take a day off here and there, try to stick with it as long as you can. Proper Flossing: You do not want to overdo it when it comes to flossing, Make sure that you are using a healthy length of floss and get in between every tooth to maximize its cleanliness. However, do not abuse your gums. The goal isn’t to bleed, it’s to strengthen your gums and get rid of excess food. Fluoride: Mouthwash is great but make sure it has fluoride in it. The same goes for your toothpaste as well as anything else you use to maintain the health of your mouth. It’s even been said that you should drink tap water because the water company uses fluoride to keep the water clean. 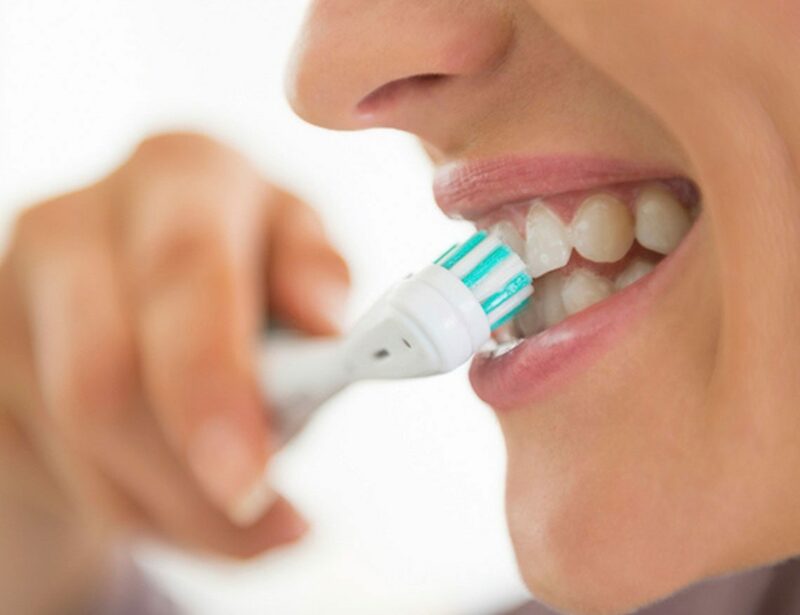 Tooth Brush Tips: Did you know that you should brush your teeth twice a day for at least two minutes each time? That would surprise most people as they probably don’t even hit a third of that time. Try walking around the house, turn the coffee pot on, let the dog out, check your phone and other things to lengthen your usage time. Obviously you want to check with your dentist about dental hygiene tips before you start anything new. Make sure you are using the proper tools like the right type of toothbrush, paste, mouthwash and other products. Also be sure that you are using the right technique for brushing and flossing. These may not seem like important things but when you are doing them every day you want to make sure they are done correctly.